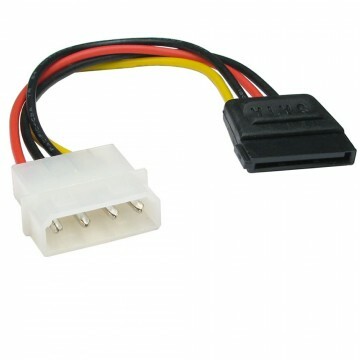 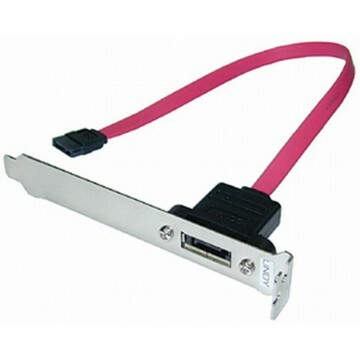 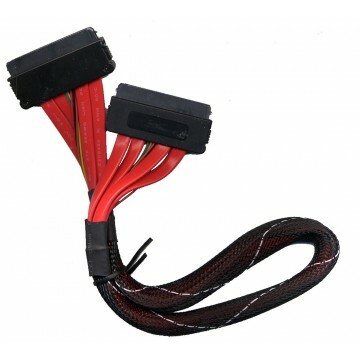 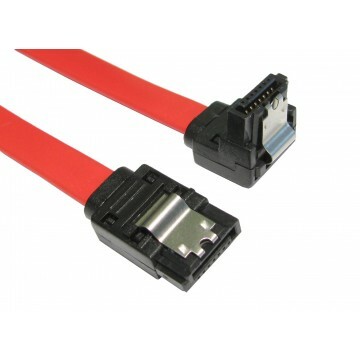 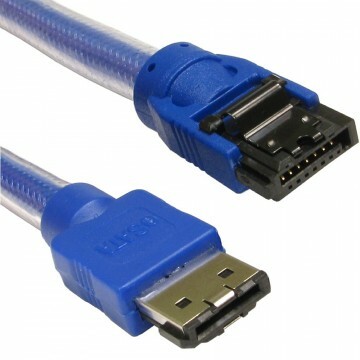 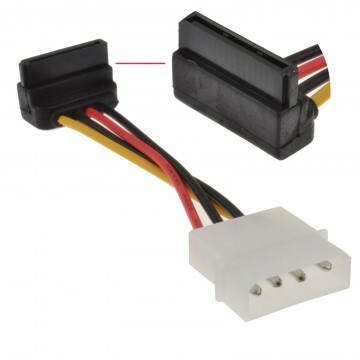 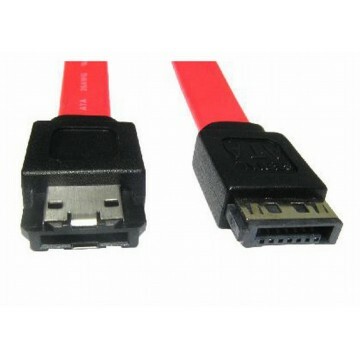 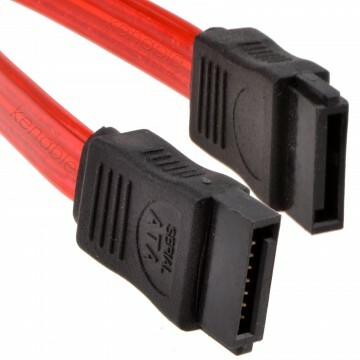 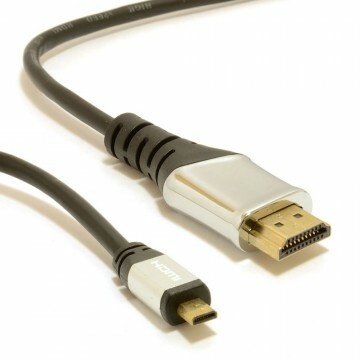 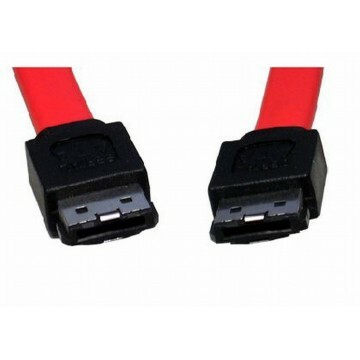 Serial ATA (SATA) Cable. 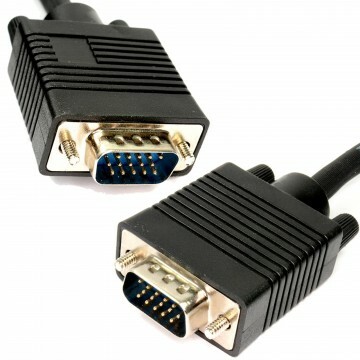 One to one connections. 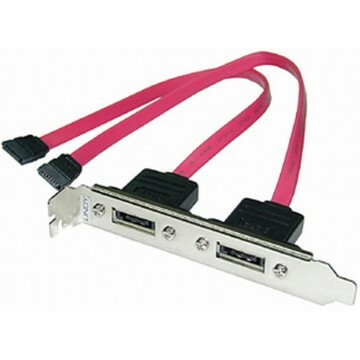 Each SATA Hard Drive needs a seperate cable. 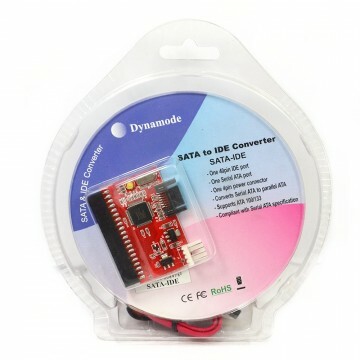 SATA 1.5Gb/s and 3Gb/s (also known as SATA II) compatible. 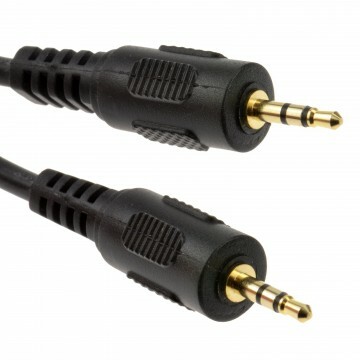 The right angle connector is in total 20mm long. 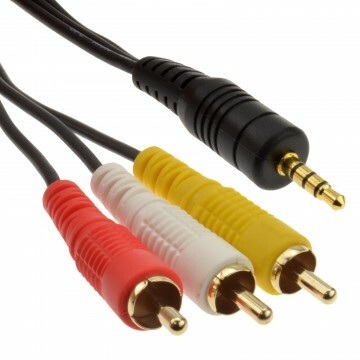 Once plugged in it pertrudes 15mm.